really enjoyed thw experience here on oz. free food to be given to animals which helped ys enjoyed it even more. i so loved how they worked with saving these animals. the photos are great and koalaz, wallabys and everything else are so cute! really enjoyed thw experience here on oz. free food to be given to animals which helped ys enjoyed it even more. i so loved how they worked with saving these animals. 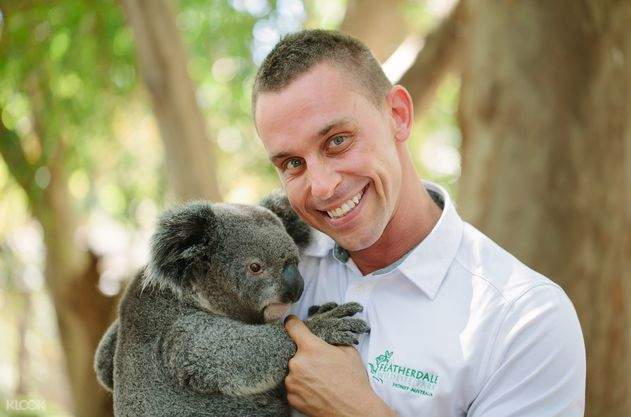 the photos are great and koalaz, wallabys and everything else are so cute! really enjoyed thw experience here on oz. free food to be given to animals which helped ys enjoyed it even more. i so loved how they worked with saving these animals. 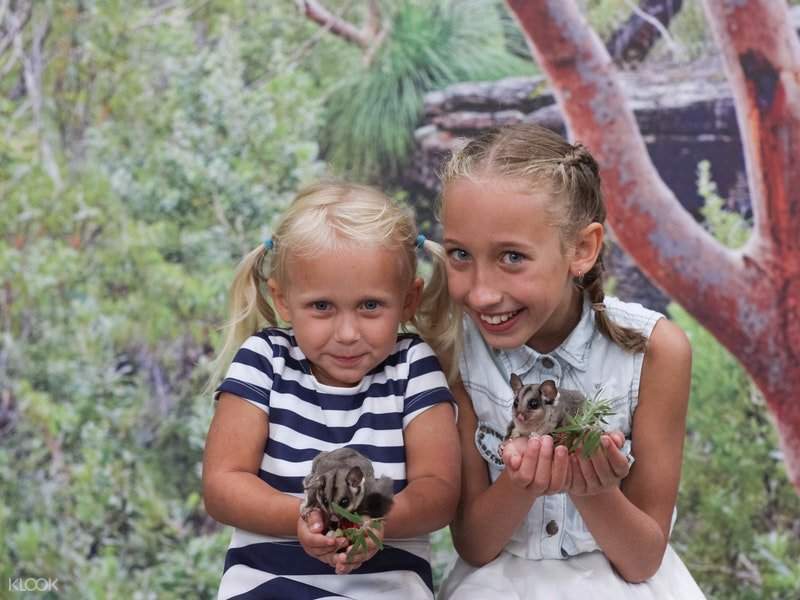 the photos are great and koalaz, wallabys and everything else are so cute! Great one, worth that I drove about 2 hrs to there. all animals are awake and energetic. and finally, I get to see the kangaroos and can touch them. worth to the money and drive. last, the crocodile is alive , it is not statue. Great one, worth that I drove about 2 hrs to there. all animals are awake and energetic. and finally, I get to see the kangaroos and can touch them. worth to the money and drive. last, the crocodile is alive , it is not statue. Not a very big wildlife park, but we are very satisfied with it because we can finally get to pet wallaby, so lovely. Thought petting kangaroo is like almost impossible, with experiencing petting wallaby, we are more than happy. From CBD, you got to take a train to Blacktown and then take bus Number 729, around 10min away only, and the park is located on your right. Not a very big wildlife park, but we are very satisfied with it because we can finally get to pet wallaby, so lovely. 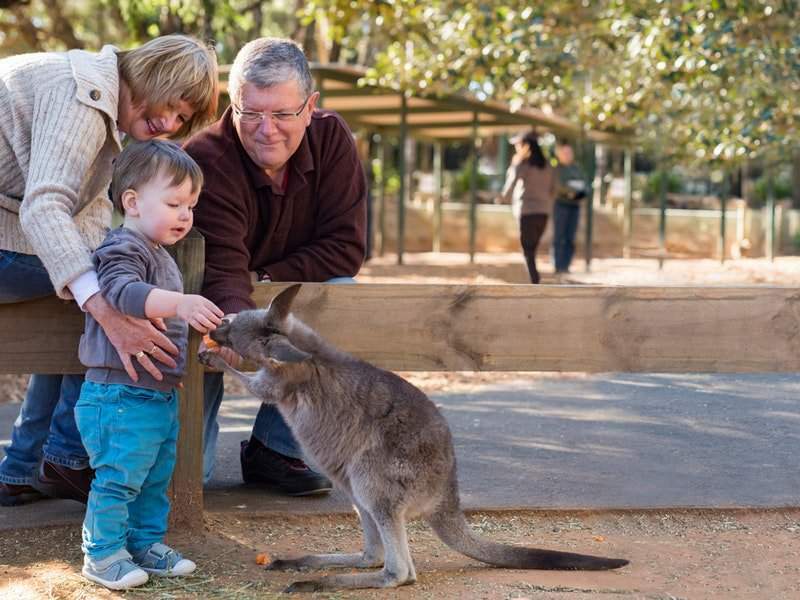 Thought petting kangaroo is like almost impossible, with experiencing petting wallaby, we are more than happy. From CBD, you got to take a train to Blacktown and then take bus Number 729, around 10min away only, and the park is located on your right. Very nice experience and we were able to see all those local animals and birds of Australia. We even got chance to feed them and take pics with them. Staff and even the animals are very happy and more friendly. Must visit place even though it’s far from the city. Very nice experience and we were able to see all those local animals and birds of Australia. We even got chance to feed them and take pics with them. Staff and even the animals are very happy and more friendly. Must visit place even though it’s far from the city. great, you can see and touch with kangaroo/koala. staff are friendly and supporting. great, you can see and touch with kangaroo/koala. staff are friendly and supporting. Good family event. Kids love it. Lots of local Aussie animals to see. Good family event. Kids love it. Lots of local Aussie animals to see. Those who want a real experience of animals who aren't in big cages this is the place. Here you can pet the animals and feed them ($3/Cup). Those who want a real experience of animals who aren't in big cages this is the place. Here you can pet the animals and feed them ($3/Cup). Best experience of Australian wilderness! Dont miss it ! Its easy to get to if u have a opal card just a short train trip! No hassle to Redeem. Friendly staff and get up close amd personal with the animals . Extra 25 A$ for a photo with the koala . Best experience of Australian wilderness! Dont miss it ! Its easy to get to if u have a opal card just a short train trip! No hassle to Redeem. Friendly staff and get up close amd personal with the animals . Extra 25 A$ for a photo with the koala .